Kolton and our family are happy to find out that autism's of the sea is going to help us try to raise the money to take him on a trip. 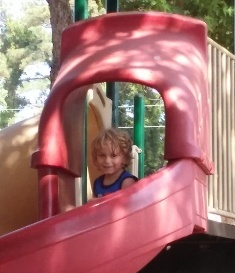 Our beautiful little boy has autism and he has never been on a trip before this would be a wonderful vacation for him. He is so fascinated with Disney and the Disney characters we have tried to raise money ourselves and haven't had any luck but with the hopes of autism of the sea we might be able to make this possible for him. We currently live in South Carolina where Hurricane Matthew had came through so that makes it a little bit of a damper but we are in hope that we are able to take him on a trip this year.